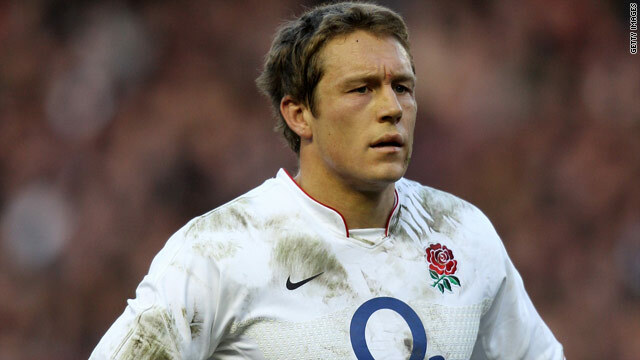 Jonny Wilkinson has been axed by England for only the third time in his 12-year international career. (CNN) -- Jonny Wilkinson's international rugby career could be coming to a close after the former World Cup hero was dropped by England for Saturday's Six Nations finale against title hopefuls France. The fly-half was widely regarded as the planet's best player after kicking England to glory at the 2003 World Cup, but has been almost as largely vilified this year due to his team's uninspiring performances. The 30-year-old will be replaced by Toby Flood in Paris, having been dropped for only the third time in his England career. Wilkinson went off after a heavy blow to the head against Scotland last weekend, when Flood made a big impression after coming on as a substitute to earn England a 15-15 draw. The result ended England's slim title hopes. Wilkinson has been passed fit to take his place on the bench against the French, who have won all four games so far and would need to suffer a heavy defeat to allow Ireland to retain the title. England coach Martin Johnson, the team's captain in 2003, said he was happy to give the 24-year-old Flood a starting chance. "Jonny took a number of bangs and heavy blows. We need at least two players in every position and we would have been happy to pick Toby in every game so far," he told the UK Press Association. Wilkinson's career has been blighted by injuries since 2003, and his failure to regain his form as England's influential playmaker in this year's Six Nations tournament means he will struggle to feature at the next World Cup in New Zealand in 2011. Younger players such as Flood are likely to be given their chance to shine in the November internationals against Australia, Samoa, South Africa and New Zealand. Johnson has made six changes for Saturday's game, with captain Steve Borthwick named in the squad despite being in doubt with a knee injury. Winger Chris Ashton will make his debut in a backline that sees veteran World Cup winner Mike Tindall recalled at center and Ben Foden start at fullback, with Delon Armitage dropped from the squad. Lock Simon Shaw returns from injury, while flanker Lewis Moody starts in place of James Haskell. France welcome back center Mathieu Bastareaud, with David Marty making way despite scoring two tries in last weekend's win against Italy. The French have not beaten England since the 2006 Six Nations, losing in the World Cup semifinal in 2007 and then again in Paris the following year before another defeat at Twickenham 12 months ago. Les Bleus have not won the championship since 2007, which was their second in a row. In Saturday's other matches, Wales host Italy and then Ireland take on Scotland in Dublin before the Paris match starts.